Do You Need Heating Controls? 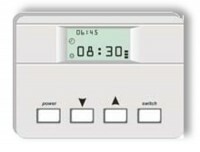 Do you have a boiler timer control that can be set for different days of the week? Do you have a temperature control on your boiler? Do you have a separate control in order to set the temperature of your hot water cylinder? Do you have you a separate timer control for your hot water cylinder heating? 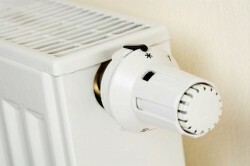 Can you switch on your radiators without heating your domestic hot water? Can you turn on your domestic hot water without also turning on your space heating and vice versa? Can you adjust the heat from each of the radiators in the rooms you use most frequently? Reduce your energy requirements by installing heating controls, including new thermostat controls and Thermostatic Radiator Valves (TRVs). Heating controls are simple to use and if set efficiently will reduce your carbon footprint and your heating bills. You know when heat or hot water is required in your home. Using your heating controls when heat and hot water are required, it is there; and when heat or hot water is not required, it is turned off. Using heating controls your space heating and hot water schedules can accurately be matched to the living and working patterns in your home. Heating controls installed by Kenny Heating & Plumbing can help you optimise energy usage by regulating the heating in your home. Kenny Heating & Plumbing can divide your heating into two separately controlled zones - one zone for space heating Zone and another for domestic hot water. With the use of these separated zones you can turn on your space heating without being forced to turn on your domestic hot water and vice versa. More zones can be created in larger homes e.g. to split heating control settings for upstairs and downstairs or living areas and bedrooms. Contact Kenny Heating & Plumbing to discuss heating control requirements.